Global demand for energy continues to rise. Meeting that demand cost effectively means investing in new technology that increases efficiency without compromising service levels. With our innovative, award-winning smart metering communications systems, utility companies can remotely monitor and control energy usage, accurately and securely. Advanced narrowband RF mesh networking technology delivers optimum performance and efficiency in both urban and rural areas. A rigorous, regular billing cycle improves cash flow. In addition, robust reporting and analytics enable better demand management. CyanConnode’s cost optimised and standards-based smart metering communications solutions offer scalable and secure technology for Advanced Metering Infrastructure (AMI) deployments. Advanced Metering Infrastructure systems provide bi-directional communication between the utility and customers’ meters, enabling smart metering functionality. Data collected from remote meters can be sent via CyanConnode’s Head End System, which provides API’s to a customer’s meter data application. Alternatively, the meter data can be sent transparently sent to the customer’s head end or meter data management system. CyanConnode’s Optimal technology delivers cost-optimised smart metering communications solutions that provide end-to-end quality of service. CyanConnode delivers hardware, software and a network management system for its smart metering communications solutions, increasing the performance of its technology and providing low total cost of ownership. For utilities looking for a robust and scalable standards-based smart metering communications solution, CyanConnode’s 6LoWPAN smart metering technology uses IPv6 technology. 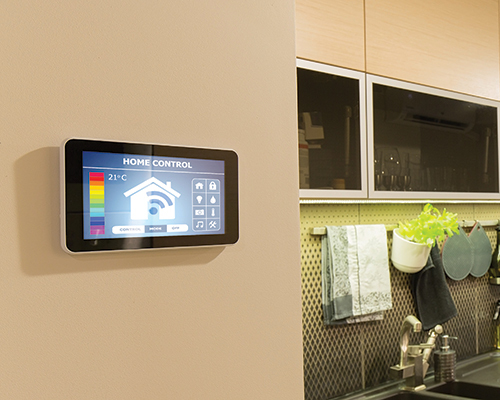 Installing smart technology doesn’t have to involve replacing existing meters. We offer a ‘retrofit’ option that uses a wireless module to add smart metering functionality to an existing meter. Narrowband RF mesh technology is the future of smart metering. Applications that use Narrowband are less power-hungry and spectrum intensive than those using higher frequencies. As a result, narrowband networks offer much more growth potential and flexibility. We’re a world leader in Narrowband mesh networking. Our smart metering systems are optimised for range and provide excellent penetration through obstructions such as buildings.